Bringing you yet another page of the Azeroth’s Farmer’s Almanac for you. This is for all you tailors out there trying to make the best out of your profession. I’ve included silk because I know how hard it is to find decent materials on the AH. Sometimes you have to be your own supplier. The hotspot for linen is in westfall. 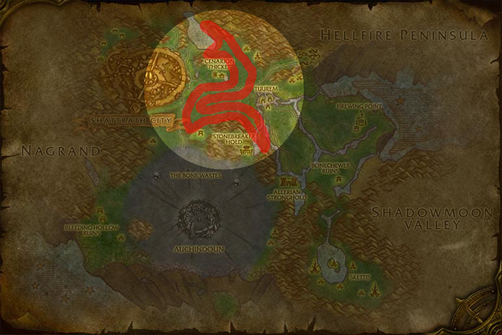 An obvious go to point for those on the Alliance side, head for the windmill and dish it out to the defias in the area. They have a quick respawn and are drop plenty. 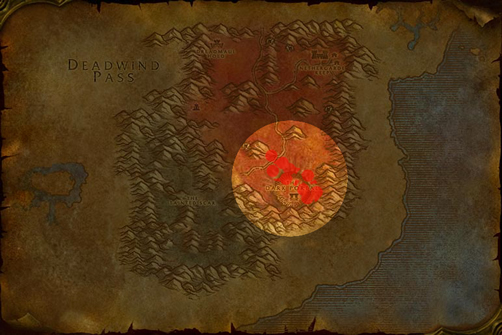 If you’re a horde and don’t want to end up in Ally lands, then your best bet is in the ragefire chasm. A couple laps in this instance will net you roughly 100 stacks an hour. Without a doubt, the best place to farm for wool cloth is in the Stockades, if you’re alliance. It’s small, has a good location, and no waiting for respawns. If you’re a horde, then not so much. Try your hand at culling Mosshides in the Southeastern Wetlands. Very quick respawn rate, fair amount of wool and coinage to go around. Keep making laps and you’ll never run out of things to kill. The Scarlet Monastery is the place to be. Inside, nearly everything is farmable for silk, and you are not competing with several others in the same area. If instances are not your thing (or not high enough level to solo), farm out the ghouls in the Raven Hill cemetery both above and below ground (yes, there is a loop track you can follow for maximum culling). 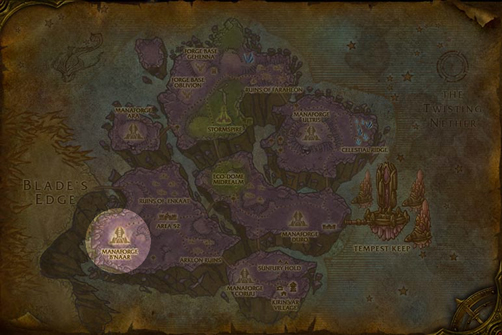 One highly recommended spot to farm is in Azshara. The undead Highborn have excellent drop rates, but a very long respawn time. Two other spots are great, one of which is in Felwood. 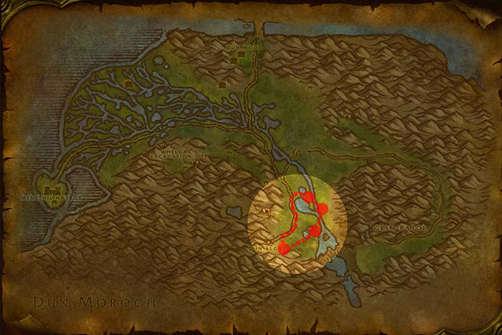 Hunting down Furbolgs in the Timbermaw camp will get those farming drops and increase your rep with the Timbermaw Hold. The second is in Tanaris. 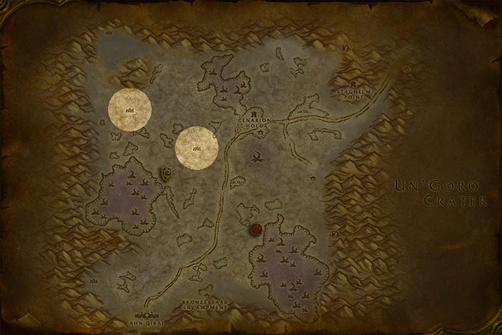 Finding Dunemaul Orges leads to some excellent drops, if only the mobs weren’t so spread out. The Twilight Avengers in Silithus (26.0, 31.0 and 40.0, 43.2) are great mobs to farm from. The drop rate is about 50% and the mobs are clustered together. The respawn rate is very good, too. Also, you can also work on your rep while you are out here! The Ogres of Dire Maul and a great drop rate as well. Confirmed reports site the are for an average of 5 Stacks of cloth for every 30 minutes farmed. The prime place to hit is everything in and around Manaforge B’Naar. 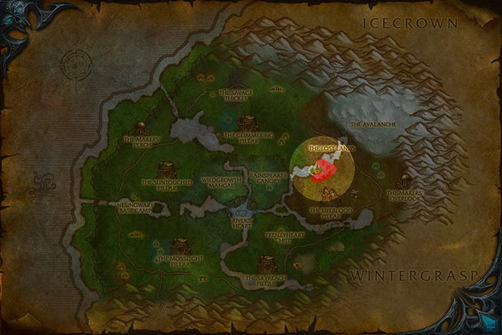 This area is filled with great drop rates, Scryer Rep drops, and weak mobs. There are many mobs in the area, so respawn isn’t an issue. 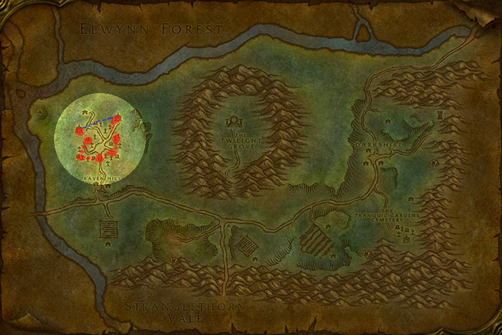 For the Aldor, the Legion Hold in Shadowmoon Valley is for you. Great drops from the demons plus you get Aldor Rep drops and Fel Armaments from all the demons. 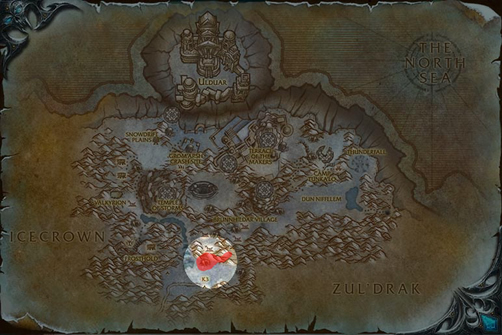 One of the most reputable hot spots for farming Frostweave is in the Sholazar Basin. At 66.0, 51.0 there are fast respawns all up and down the beach with a high 40% drop rate. Keep an eye out for Freya for she will steal your kills. Cloth aside, this area nets about 100GP an hour in just coinage alone. But, if that area is too high for you and you need cloth now, hit the Kaskala Beaches (69, 49). 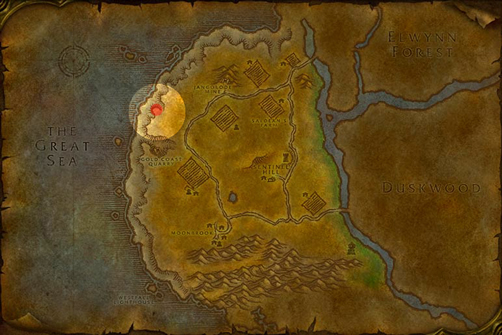 You’ll end up doing a quest here via Dugi, so you might as well stay awhile. The Kvaldir storm the beaches in groups of five and have a drop rate of about 33%. You are easily paced here between invasion waves and you have help if you need it. If you want to get the loot, try to do at least 50% damage to them while the are engaged with ally fighters. Or, take them all on as soon as they get off the boat! 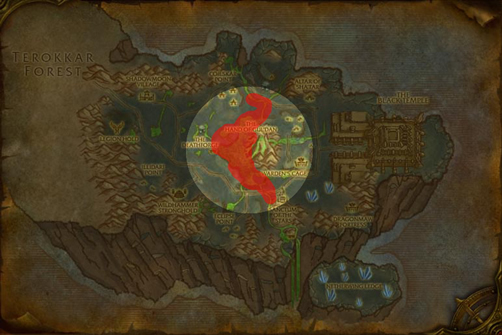 If you are going to want your felcloth, you’re gonna need to head to Dire Maul. The mobs there have the highest drop rate in the game. Again, if instances are not your thing, then prepare to do some serious grinding. 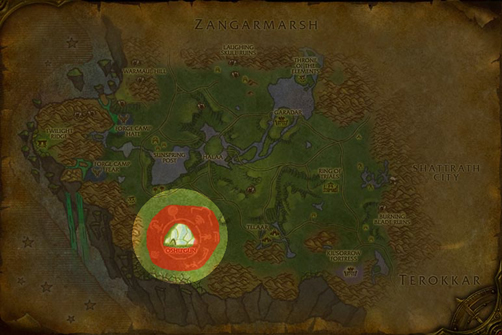 The Felguard Sentry in Blasted Lands are all camped together, but they only have up to 8%. And that’s the best outside of instances. Happy Farming! So you can’t exactly farm for Mooncloth. You have to transform it from Felcloth (see above), but you need to use a moonwell to do so. Here’s a list of the current locations of said moonwells. 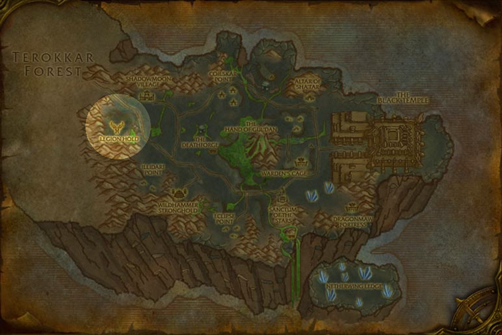 Tanaris: Caverns of Time (near the entrance for the Battle of Mount Hyjal). To farm this item, we’re gonna need a few things to begin. First, netherweave cloth into bolts (see netherweave above), then they need to be imbued. To imbue the cloth you will need arcane dust, which you can do from nearly any green found in Outland. However, if you have the ability to create netherweave bracers or Fel Iron Blood Ring and disenchant them, then you might save yourself some money rather than buying Arcane Dust outright from the AH. Second, you’ll need Primal Shadow, which is created by 10 Motes of Shadow. 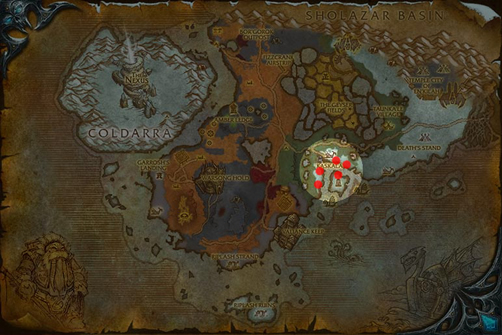 For this, you’ll need to farm out Voidspawns in Nagrand (see map below). And Lastly, you’ll need Primal Fire, created by 10 Motes of Fire. 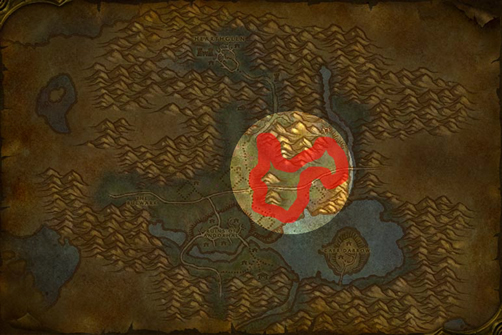 This mote is best farmed by Enraged Fire Spirits found in Shadowmoon Valley (also shown below). Be sure to pull them onto land; lava hurts. Same as above, but only replace Primal Shadow with Primal Mana. You will need to make this cloth anywhere in Netherstorm, but doing so will summon a Level 70 Angered Nether-wraith to kick your ***. If this is not the fight you are looking for, you can 1) spawn him in Area 52 and let the guards help you out, or 2) spawn him near a flight point and leave the scene as soon as he shows up. But, first things first; you’ll need a place to farm. Head north of Area 52, into the Ruins of Enkaat, and hunt down Mana Wraiths. They do have the best drop rates around. However, they can be a nightmare for casters. They tend to drain your mana for health and immune to arcane and a bulk of a hunter’s shots. But, the kill is worth it. While you would normally think that these would be found on nearly every spider, each spider has a different drop rate. 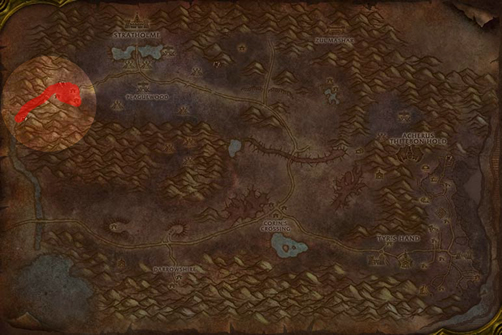 In fact, the highest drop rate (10%) can be found in the Arathi Highlands. 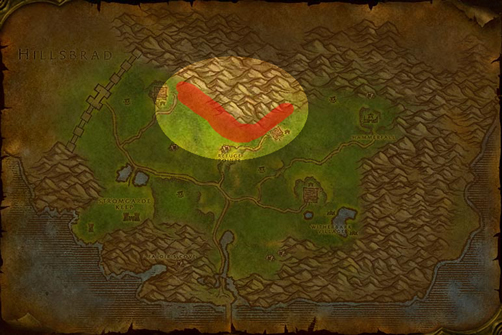 You can farm out the Great Plains Creeper and Plains Creeper in the area sectioned out below. Take note that Spider Silk sells very well for a lowbie item and much better than it’s superior Thick Spider’s Silk. Take a trip to the Searing Gorge and start hunting down Greater Lava Spiders. If you are farming as you level, this is a bonus because they are part of the quests in this area. Note: Greater Lava Spiders are resistant to Fire. Here’s another great 2 for 1 special. You’ll find that Crypt Walkers and Crypt Stalkers both have a high (ish) drop rate, but also they do drop Crypt Fiend Parts that can be turned in for Argent Dawn Rep or sold on the AH. And if you are properly equipped, they do drop Minion’s Scourgestone for additional Rep. 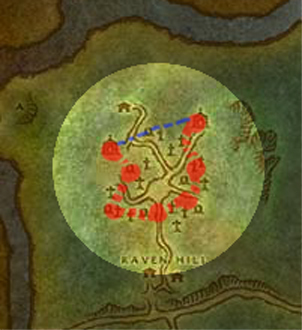 So, head to the Eastern Plaguelands and don’t forget those caves! Tip: For maxium profit, sell the Crypt Fiend Parts on the Ally AH in stacks of 30. The Plague Lurker is your all purpose silk machine. Yes, at 14%, it has the highest non instance drop rate amongst all the spiders. It also produces shadow silk and heavy spider’s silk. And they are very abundant. 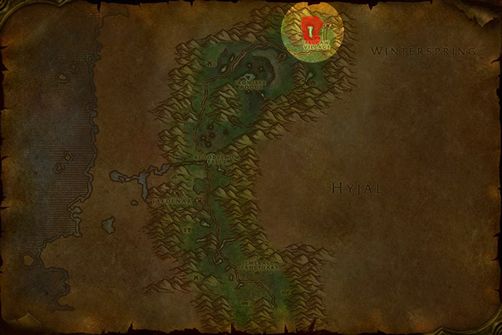 They share the same spawns as the bears and wolves in the area, so be sure to clear them out, too. Don’t worry, bear and wolf meat tend to sell well on the AH. There will be some basic grinding here. 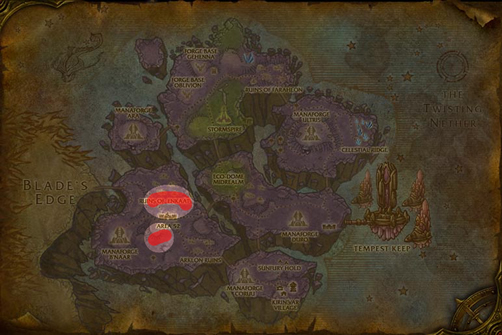 The Dreadfang Lurker have good drops and are located within a stones throw from Shatt. Follow the route listed, and yes, several other creatures will probably get in your way. However, if you take a look at the price per unit average below, you’ll agree it will be worth the effort. 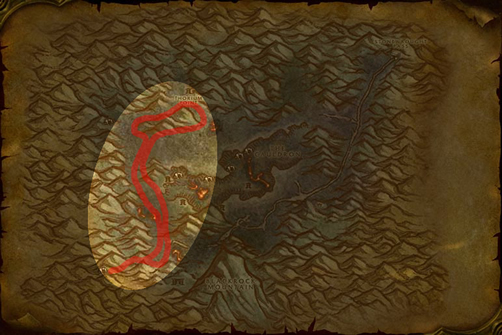 The Storm Peaks has a cave north of K3 that houses the Crystalweb spiders. This is the only place outside of instances that you can farm this silk. With a 1/3 chance drop, close groupings, and decent respawn, you would really be unable to find a better spot.